A long-imprisoned militant whose group was linked to deadly bombings of civilians decades ago won’t be honored as planned at this year’s annual Puerto Rican Day Parade on Fifth Avenue, event organizers said Thursday. The controversy over the planned feting of Oscar López Rivera — who was freed last month after 35 years in prison — at the June 11 parade had led to sponsors to withdraw and dignitaries to refuse to march. 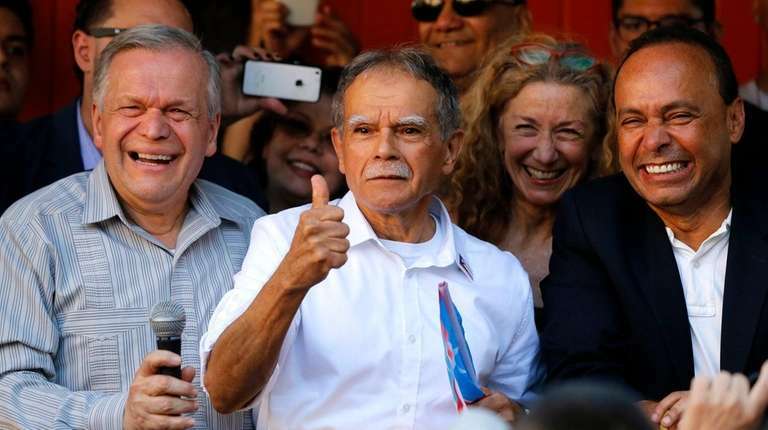 López Rivera was the leader of the group FALN, a separatist group that sought Puerto Rico’s independence by carrying out bombings against civilians in New York City and elsewhere in the 1970’s and 1980’s. He has denied any involvement in the bombings. The loss of corporate money may help Puerto Ricans focus on what’s meaningful when waving the flag. Plans to honor him had become increasingly controversial in recent weeks, as sponsors such as JetBlue and Goya foods pulled out, as did Gov. Andrew M. Cuomo and NYPD Commissioner Jimmy O’Neill.